Hi guys! 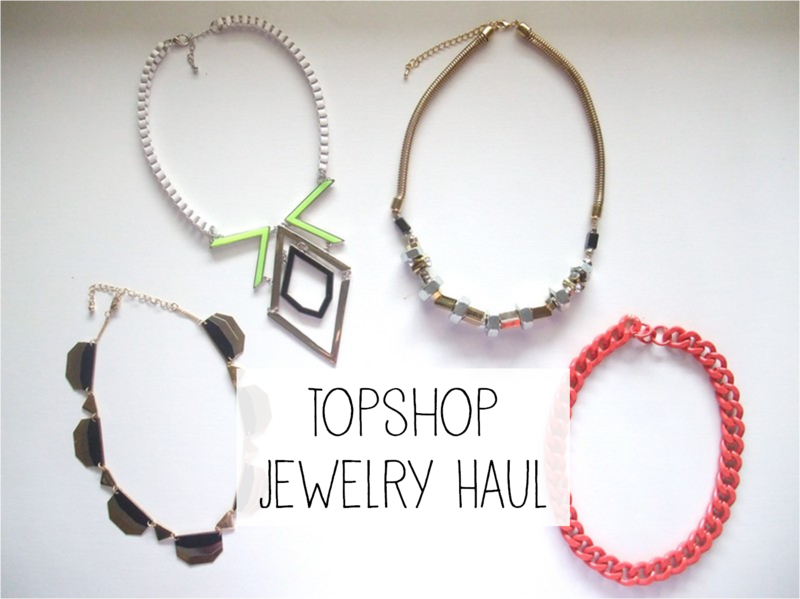 So I went over to Topshop yesterday and they were having a buy-one-get-one free on sale items for Freedom at Topshop accessories. I don't usually shop for jewelry at Topshop because their prices are on the higher side of high street brands but nobody can deny a such good deals. There weren't many nice pieces left probably because end of season sale ended long ago so I had to make do with remaining sale pieces. But I did get some cool pieces for a total of S$38! All the pieces were on sale for S$19 each. 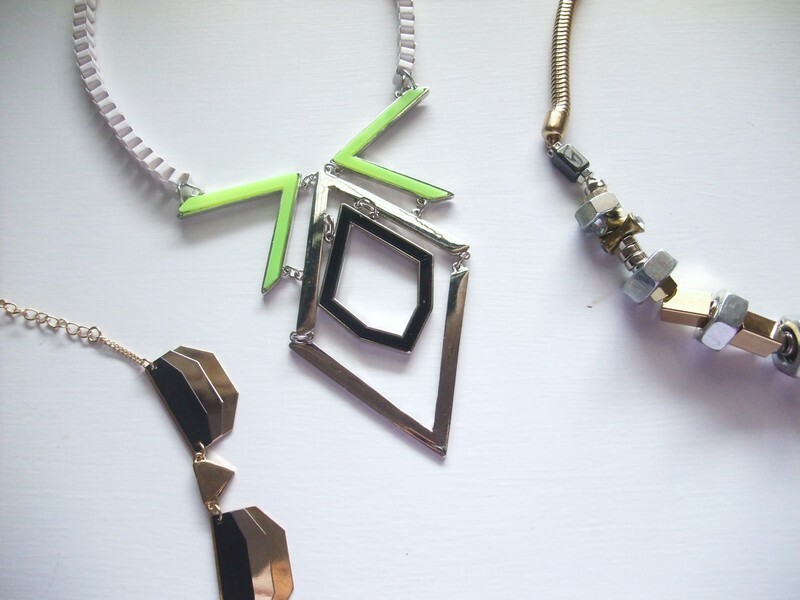 My favourite piece is the bolt necklace which is both exquisite and eye catching especially with a mixture of silvers and golds. Below is a picture of LadyB from LadyB Wonderland sporting the exact same necklace from Topshop! 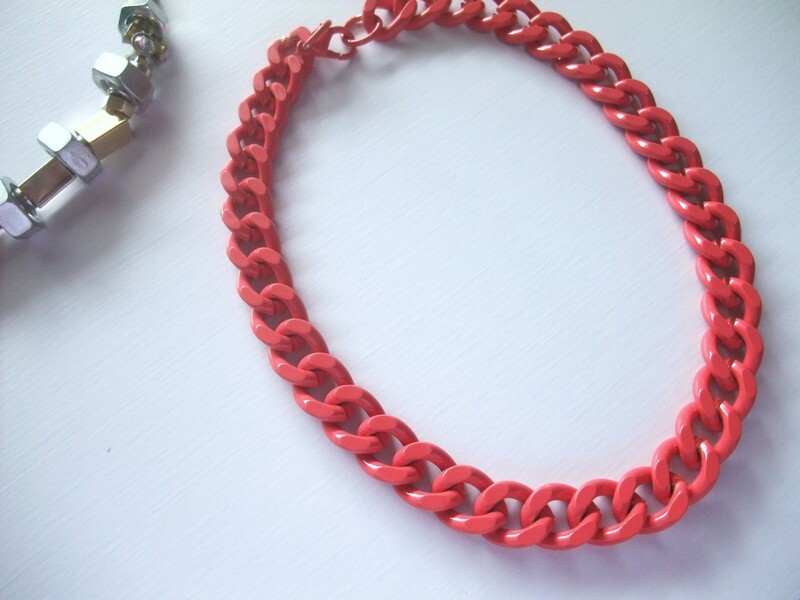 Another fav purchase of mine would be the chain necklace in the gorgeous watermelon pinkish red shade which is to-die-for. 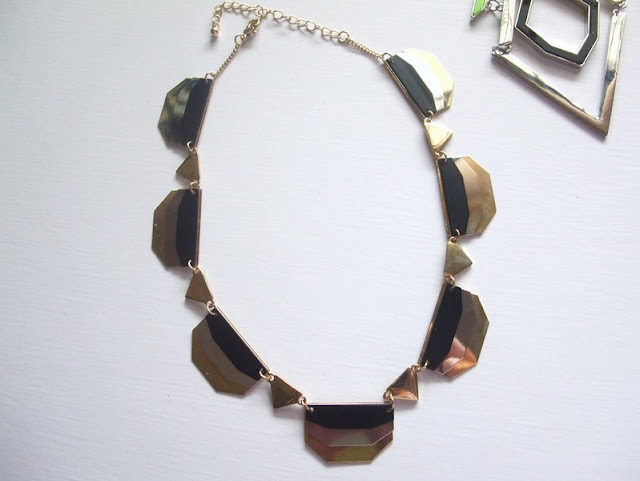 It is made of a heavier quality chain and I can see myself wearing it A LOT. 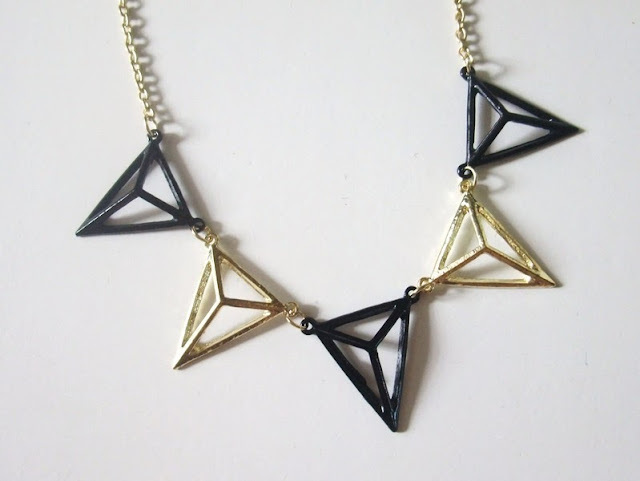 The tri-colour metal necklace is really unique as well. It has gold, silver and black plates with tiny triangle connectors. 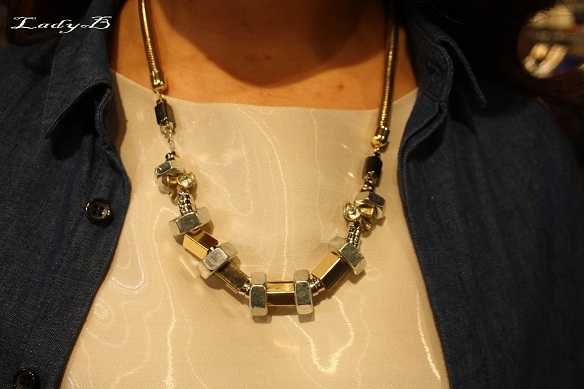 A very versatile piece that will go great with any outfit. 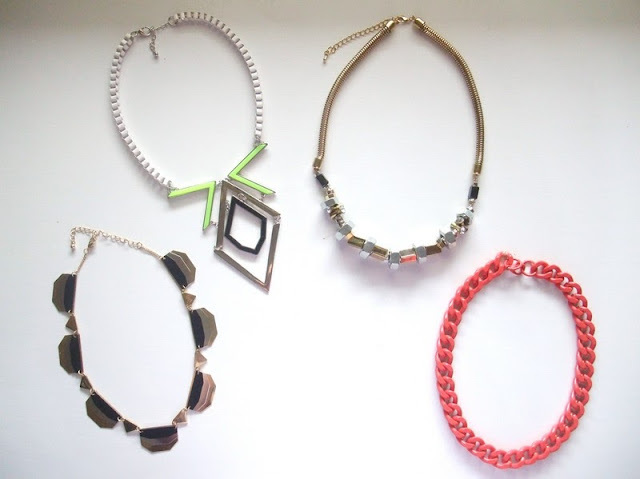 The last piece I grabbed is the statement tribal symbol necklace. 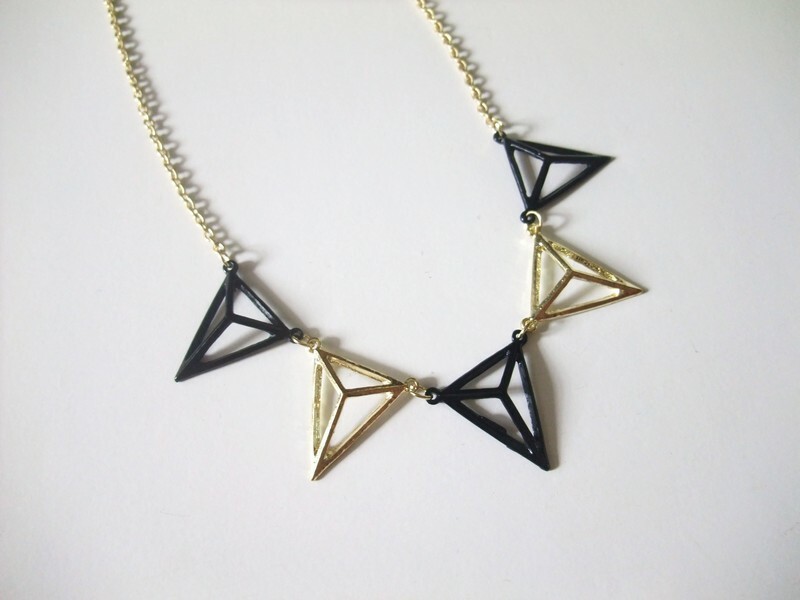 The necklace is made up of 3 colours, neon, white and black which is not a very common necklace colour combination. I think it will look great tucked underneath a collared shirt or even by itself. 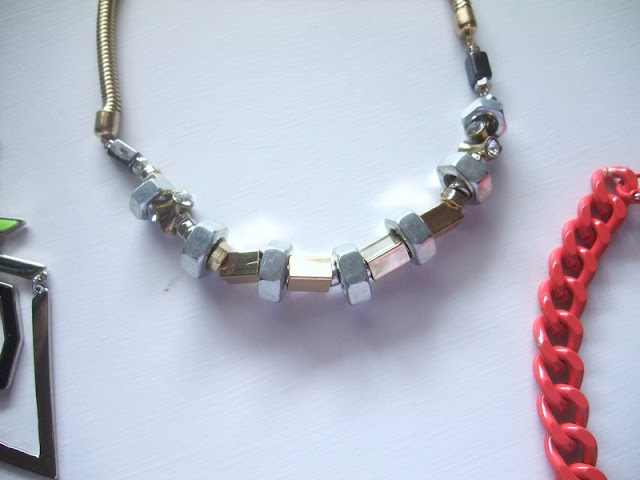 I totally agree that necklaces can make or break an outfit and with these newly additions, I'm sure dressing up will not be a chore anymore! I'll see you guys in my next post! Hey guys! So I got my Sole Society sandals in the mail recently so here they are! I purchase them off SingSale, which is a flash sale website that I often visit. I have bought multiple times from Singsale and all my purchases were successful. They have tons of negative reviews but I personally didn't experience any bad incidents. Check them out if you are living in Singapore! Finally I saw them on Singsale reduced to S$14, almost 80% off retail price so I had to get them. I got the Deloris sandal in size 41 because they ran out of size 40. It does fit slightly loose but I can definitely make it work with some sandal silicone pads. 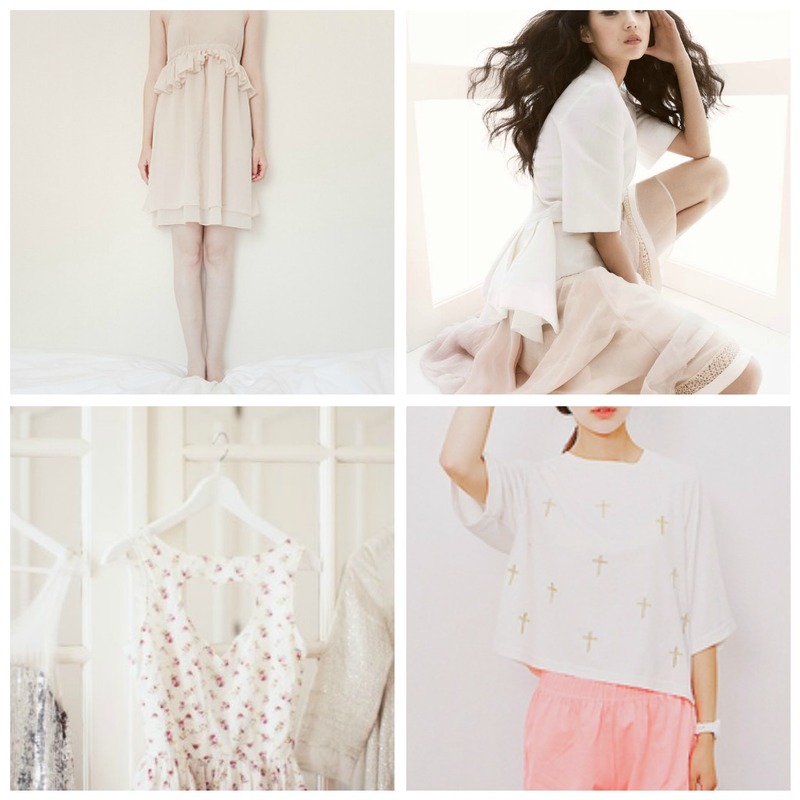 The design is minimalistic, chic and great for the summer weathers. Both the Deloris & Mary May are made of genuine leather. I also got the Mary May sandal in my size. It comes in a lovely mint colour and has intricate threading all the way to the back. Totally worth every cent! I am overall really impressed by the quality of these shoes and their interesting designs. Both sandals are very comfortable and the soles feel sturdy. I would highly recommend sole society shoes to anyone looking for high quality sandals or heels! See you guys in my next post! Goodbye! Hi guys! 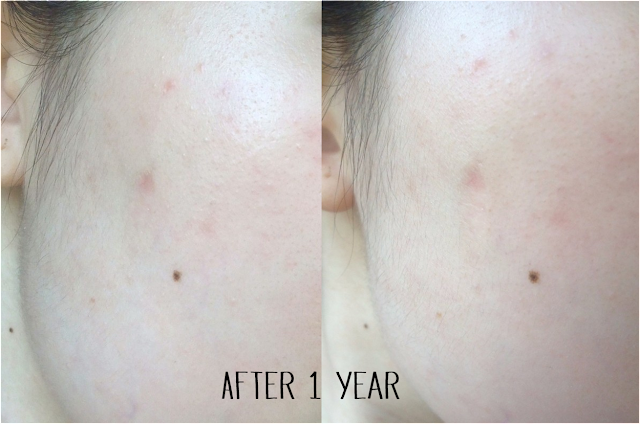 If you are a new reader here at Anonymous Reviews, you may not know about the mole removal surgery I had done a year ago. 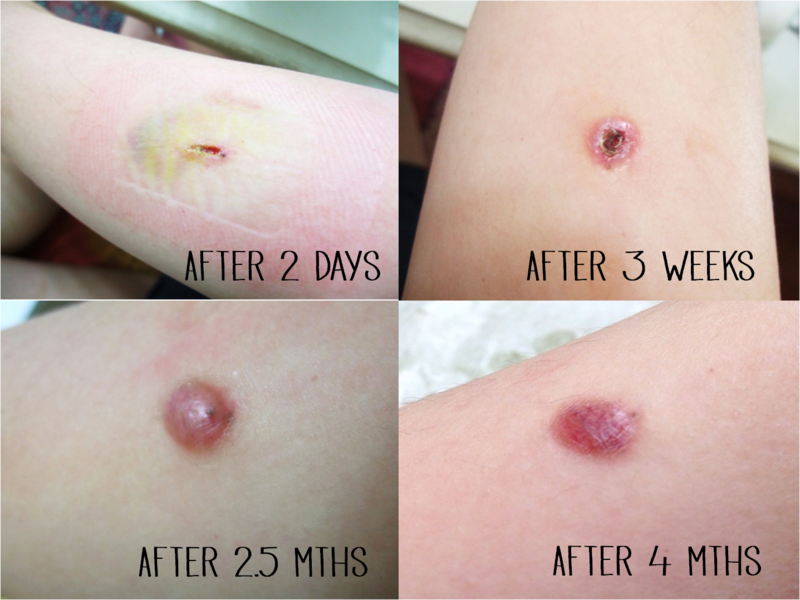 I removed 2 moles, a bigger one (around size 6mm) on my cheek and another one (around 4mm) on my right arm. I got them removed on August 1st 2012, so it has been a little longer than a year now. I will link the previous parts below so check them out if you are interested about the price/pain/recovery process. I have absolutely nothing on my face, no concealer, no foundation. As you can see, the scar has almost faded completely. I would never have believe if someone told me that a mole a size of a raisin exist there a year ago. I am blown away by the results, even looking at it now I am really surprised how such a deep scar is able to heal so nicely. It is still visible, just because the arm area is highly prone to scarring and even keloids. I got 1 steriod jab during the fourth month (doctor's recommendation) and that was it. The bump is 95% flat now but there is some pigmentation which will slowly fade due time. But the scar does not bother me at all and nobody seem to notice it as well. That is all guys! I hope this provides you some information if you are thinking of getting any moles removed. I highly recommend getting the large ones (larger than 6mm) removed as large moles can develop into melanoma (cancerous moles) in future. Again, please go to a certified cosmetic surgeon and not a beautician just so you know you are in good hands and doctors can send the extracted moles to do biopsy to check if the moles are 'safe' (you will get the report). Moles have to be removed from their roots completely to prevent them from growing back, plus removing their roots reduces the danger of developing melanoma. I know some beauticians uses acid/wart removal cream to dissolve the mole which is not safe at all because the moles are still there even though they are not visible. Bigger moles have deeper roots so laser is the best choice to go. Feel free to email me if you have any questions regarding mole removal, I will try my best to answer them. Cheers! Hey guys! I haven't posted in a week! I am having major writer's block lately and didn't really feel like posting anything. 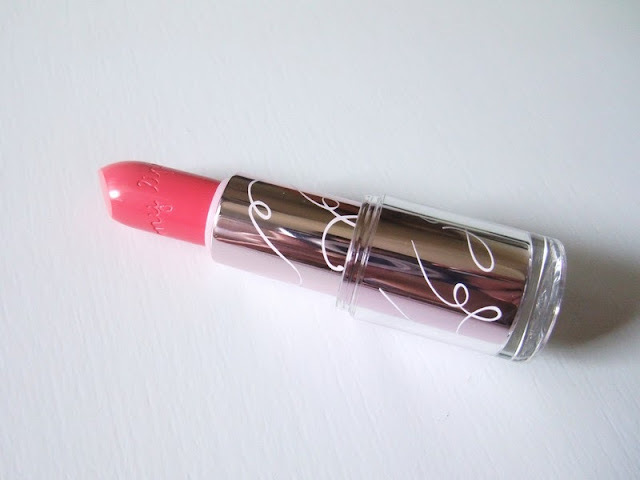 So I thought of doing a short review on the Etude House's Look At My Lips lipstick in no.16 I got very recently to get myself back into the blogging momentum again. Etude House is doing a clearance sale on these lipsticks so now they are only S$6.45 instead of the original price of S$10.45!! I actually wanted to buy the shade no.5 but it was sold out everywhere. No.16 is a pretty close match so I got no.16 instead. It is a watermelon pink shade, very trendy right now and which I think is a great pop of colour. 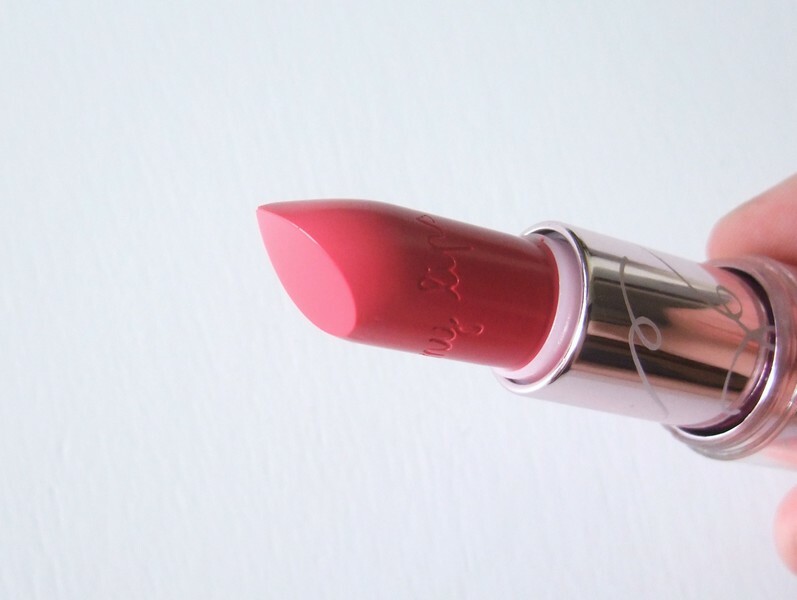 It is one of the brighter lipsticks that I own and I ADORE this shade. 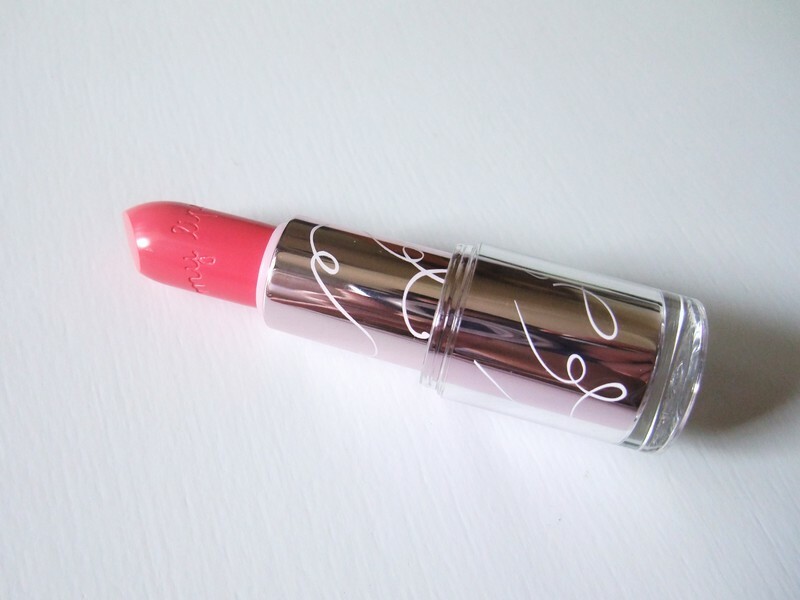 Etude house lipsticks are usually on the moisturizing side and no doubt this lipstick is very moisturizing. The packaging is adorable with the engraving of 'My Lips' engraved onto the product. 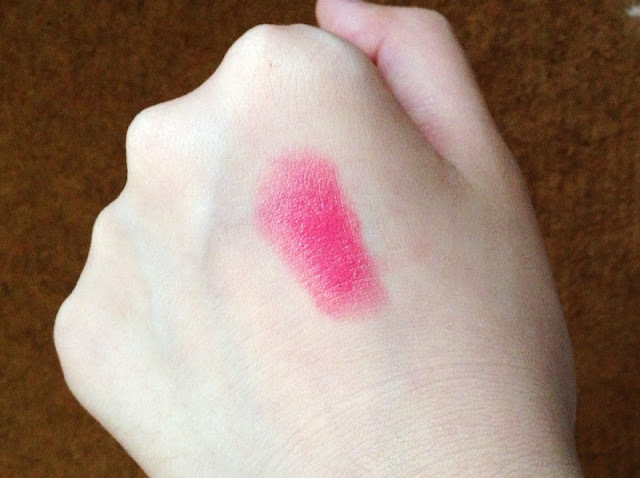 The texture of the lipstick is very creamy and smooth plus the pigmentation is amazing. I have dry lips and the formula does not fall into the cracks or emphasis the dry areas. The lasting power is not bad as well. I do have a problem with the packaging though, the cap falls off easily and doesn't make a lock sound when capped. I'm sure the appearance could have been done better since Etude House lipsticks are always so colourful and pretty. 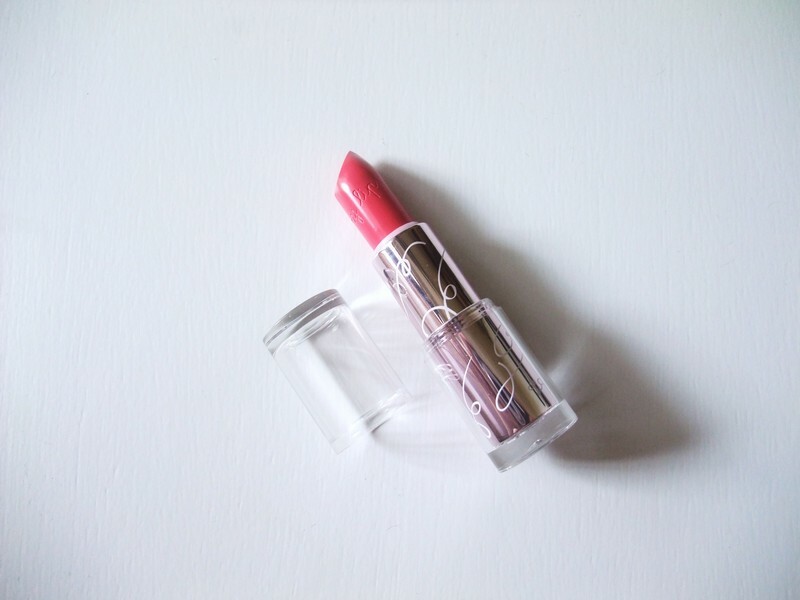 For the price, I give this lipstick a two thumbs up. I will definitely go back and get some more shade if they are still available. Highly recommend! Let me know what is your favourite lipstick from Etude House! 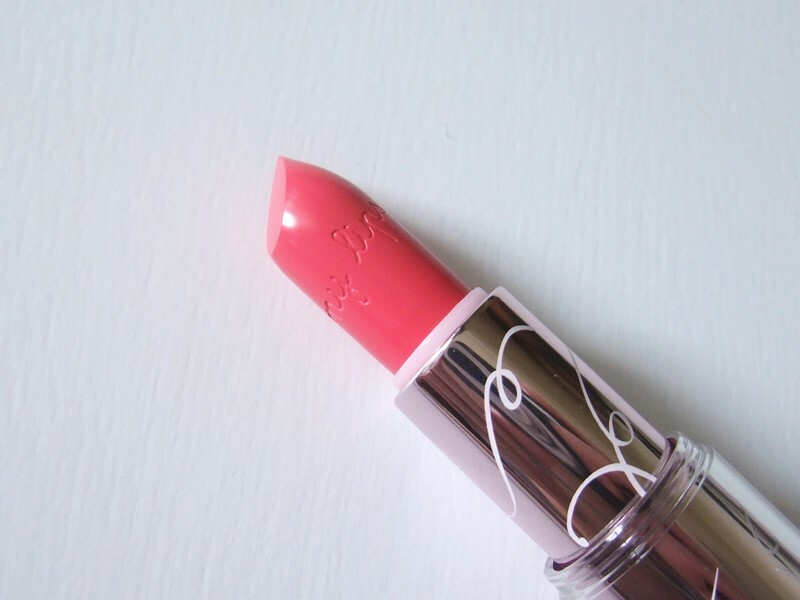 Also check out my review on Etude House Miss Tangerine Lipstick if you are interested! I'll see you guys in my next post, cheers! Aren't these sandals a piece of art? I know sole society shoes are made from 100% real leather and I have read reviews of them being comfortable and high quality. 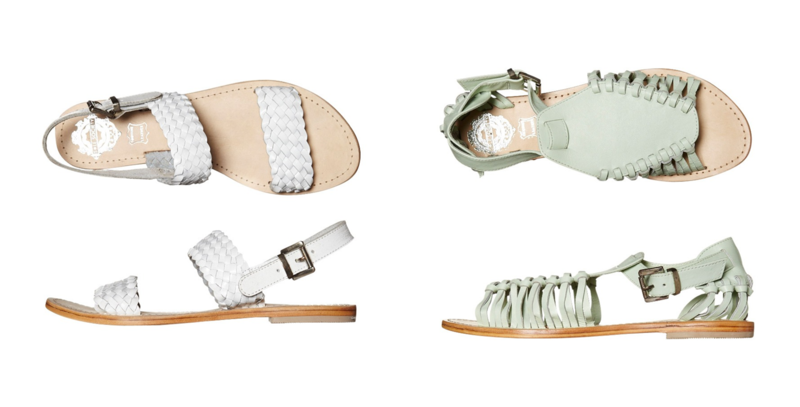 I fell in love with the mint Mary May sandals (right), the side threading details are very pretty and I have not seen a sandal design similar to the Mary May. Plus I have been looking everywhere for a pair of white sandals and the Deloris sandals by Sole Society (left) totally fits the bill. 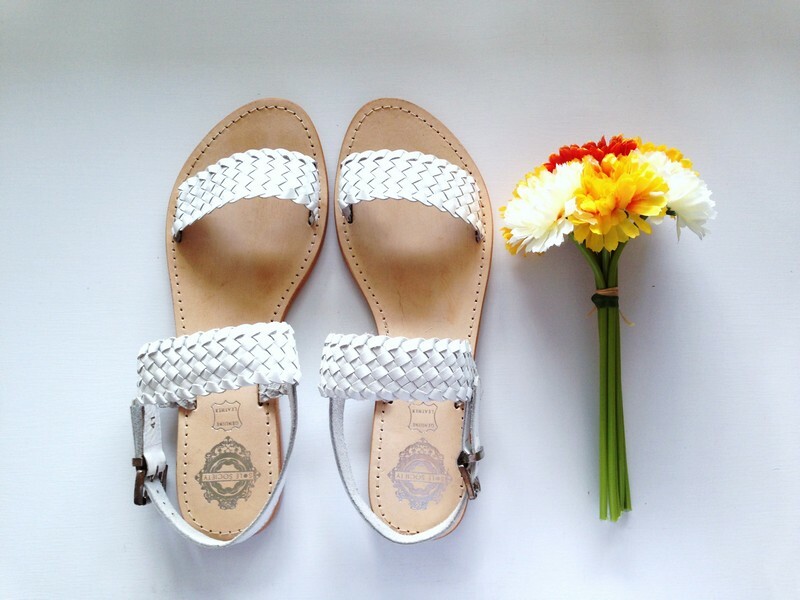 A simple weave design sandal that is great for the hot humid summery weather. I'll let you guys know how I feel about them when they arrive! When I think of pastel, the words soft, feminine, flowy, delicate pops into my mind. 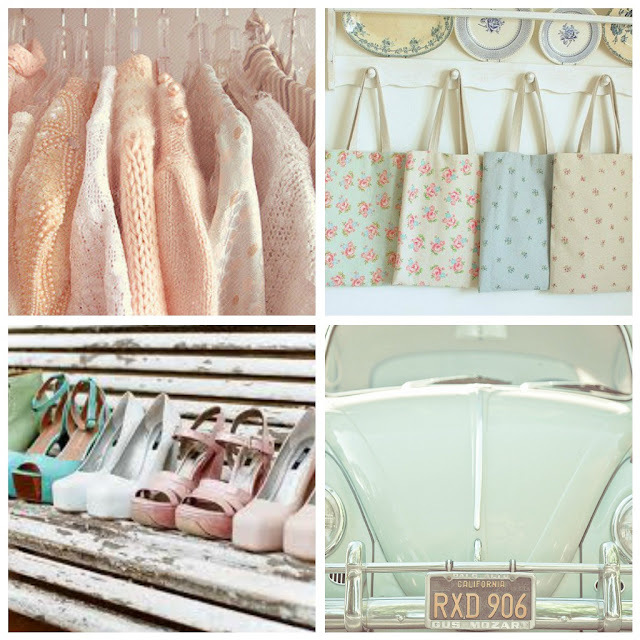 I love my pastels, but sometimes it can be hard to colour coordinate. 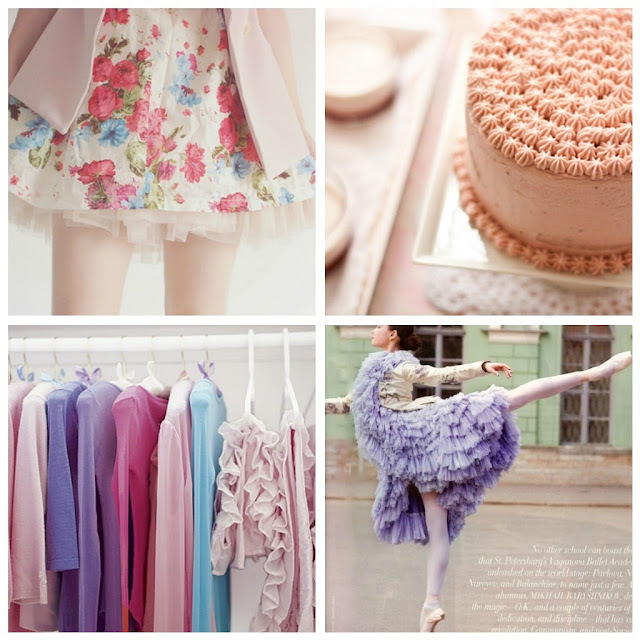 If you facing the same problem as me, fret not, I have gathered some inspirational pictures to get us into the pastel mood. I will definitely let you guys know what I am wearing, maybe a outfit post or something so stay tune! I hope you guys enjoyed this pastel-filled post and I'll see you in the next one, bye! Hey guys! 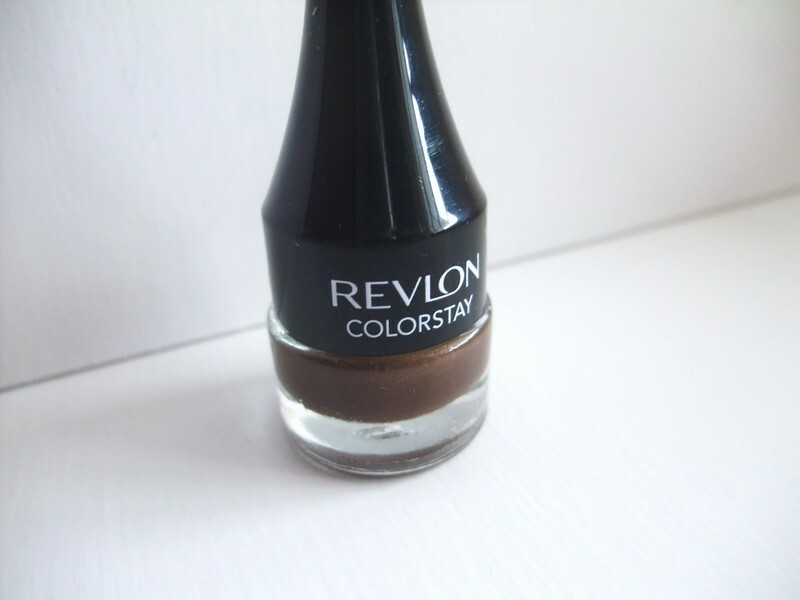 Today's post will be a review on Revlon's ColourStay gel liner. I have never tried a brown gel eyeliner before, I am more of a black statement eyeliner girl. But on days where I go grocery shopping, to the post office, or just running some errands, black eyeliner can often look too over-done or even unapproachable. 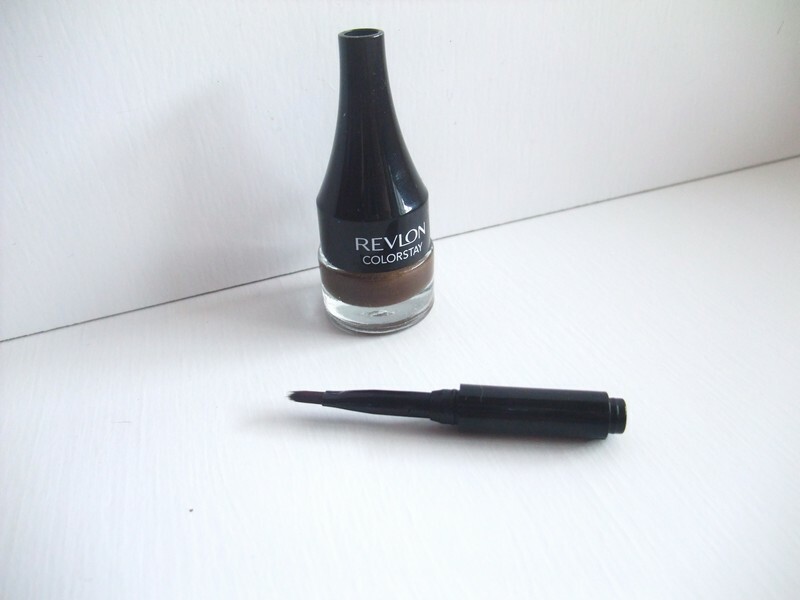 There aren't many review on the brown gel liner so I thought I would go ahead and do one! 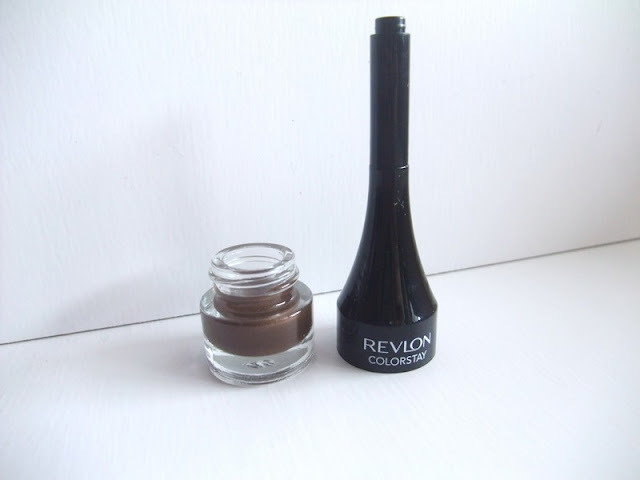 Revlon states that their ColourStay Creme Gel Eyeliner easily glides to create delicate to dramatic lines. Plus it is waterproof. It comes in four basic shades, Black, Charcoal, Brown and Plum. 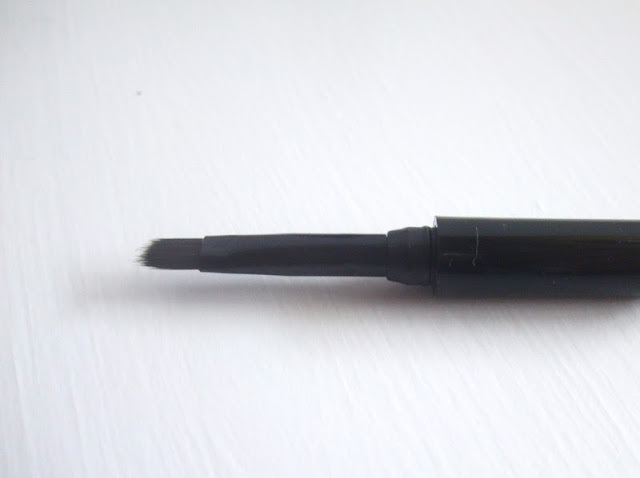 The brush that came with the gel eyeliner is slightly angled and bigger than my KATE gel liner brush. Do you see the glitters? Please pardon my brows, I am growing them out for a brow tutorial. In the pictures below I have only eyebrows (Maybelline brow pencil), gel eyeliner (Revlon ColourStay), one coat of Mascara (Majolica Majorca Dolly Lashes). At S$16.90, I give this product two thumbs up for the price, wait for occasional 20% off in stores! I got this for S$10.90 during a promotion. 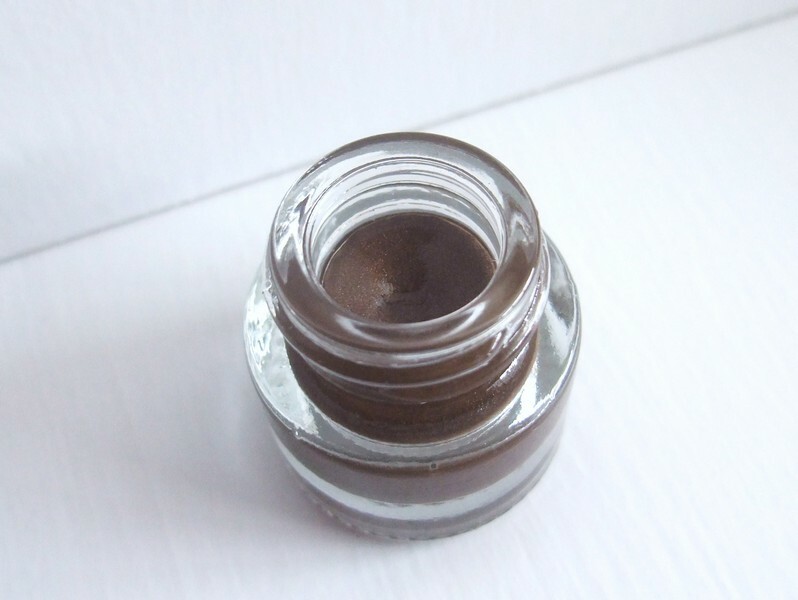 It has amazing consistency, very soft and creamy and glides on extremely easily. Definitely the creamiest texture I have ever tried in a gel liner pot. Results look softer and less harsh than using a black gel liner. I still prefer using my KATE eyeliner brush but I do give props to the sleek and compact design of the brush. 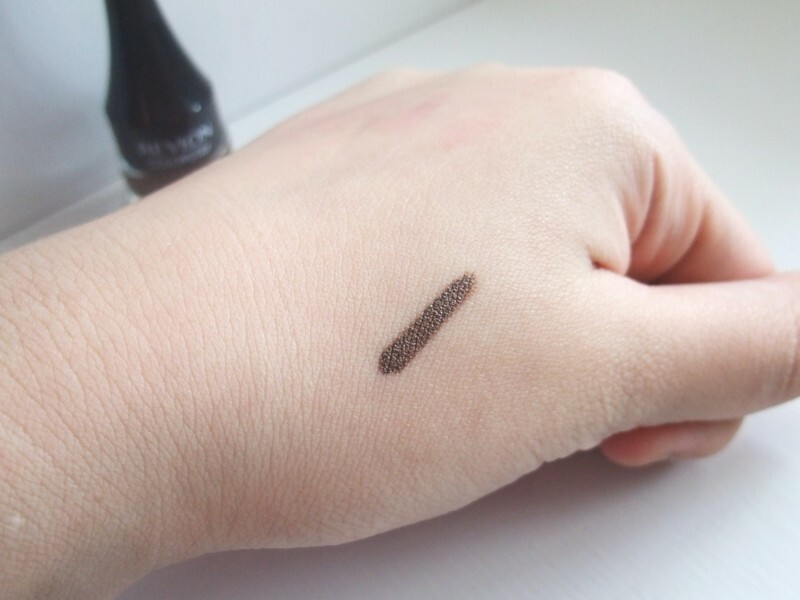 It is expected that a brown gel liner would not be as pigmented as a black gel liner, but I find that I have go go over multiple times for the colour to show up. 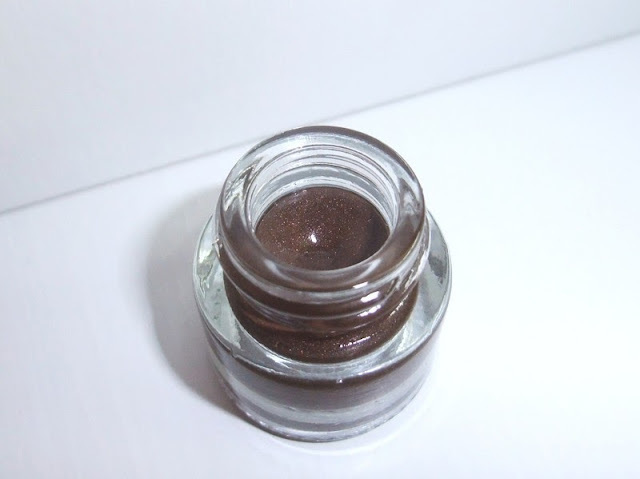 Not very pigmented but definitely buildable which also means that the pot would not last long as you have to use twice the amount of product. 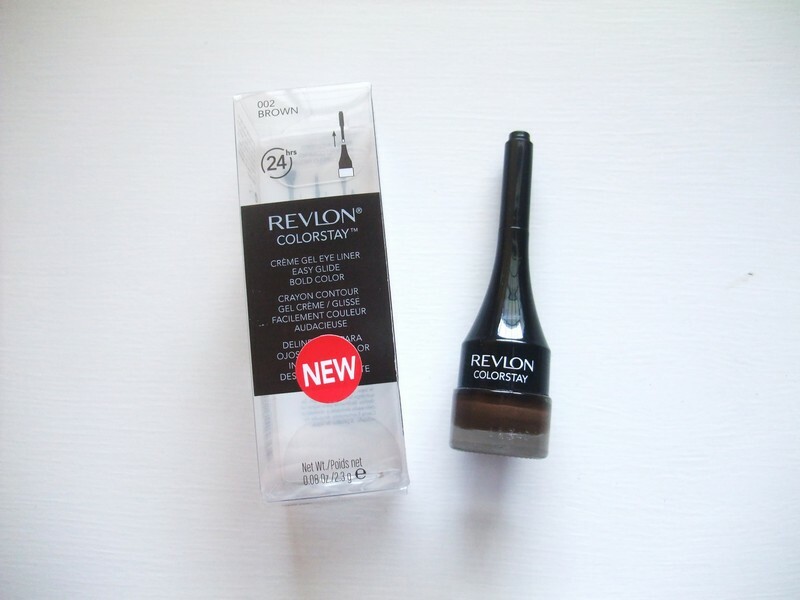 Revlon claims that this product lasts for 24 hours and I do not agree with that. I have oily lids and this lasts only 3-4 hours on me, which is slightly shorter than my MAC fluidline. I am not a fan of glittery eyeliners. And although the glitters are not that visible when applied onto the lids, when the eyeliner is removed, the glitters were all over my face! Especially if you have sensitive eyes, I do not recommend using this. The glass container is surprisingly tiny. The product only contains only 2.3g/0.08oz, which is significantly lesser than MAC fluidline that contains 3g/o.1oz. Give this a try if you want to achieve softer, more toned down eye-makeup or on days where you don't want to look too 'done'. I really like the end results, I think I will wear this out more often. Will I repurchase? Sadly no, I would probably try the plum or charcoal shade instead. Ps: The blu-ish tint in the whites of my eyes look really apparent in the pictures! Anyways I hope you guys enjoyed this post and I'll see you in my next one, cheers! Hey guys! Sorry I have been missing out on a few days, I just got my braces on, I went for the ceramic on the top and metal braces on the bottom set because it is cheaper (than ceramics for both sets up & down) and metal brackets doesn't cut as much. For now braces don't really hurt but are quite bothersome when talking and eating. A few days ago, I received a piece of jewelry from eFoxcity, kindly gifted from them. I have been eying on this piece ever since I browsed through their jewelry catalog. They reached out to me and ask if they could send me 1 item a month and I agreed. It looks exactly the same as the web pictures and for the price [US$4.41] the quality is pretty decent. The necklace is very lightweight and the design is very trendy. 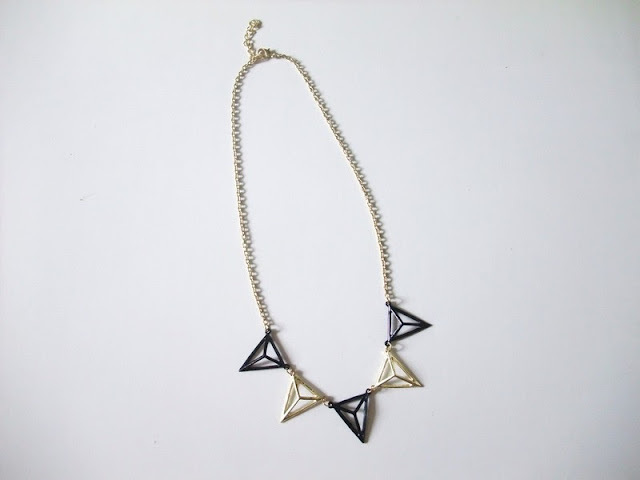 I have even seen this design on local online boutiques going for S$20! Below are some close-up shots taken by me. If you are interested in this necklace, click here to the page. 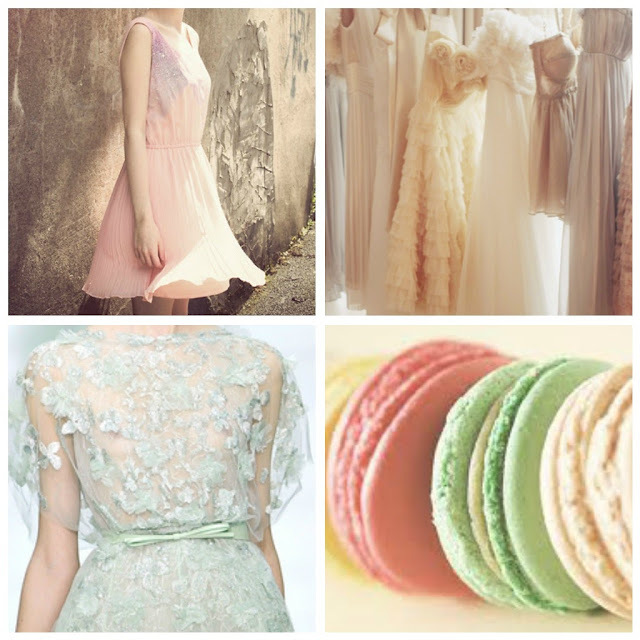 If you are looking for wholesale clothing, ideas for prom dresses or cocktail dresses, eFoxcity has a wide variety of clothing for your choice. And they ship worldwide too! If you are on a budget and looking for women's clothing then check the link for $10 deals! That's all guys, I might do a braces journey post but I really do no wish to gross you guys out with my crooked teeth. I'll see how it goes from here. See you in my next post! Cheers!